Zamaera proves how ruthless she is with her powerful bars – all you gotta do is listen to her song below! 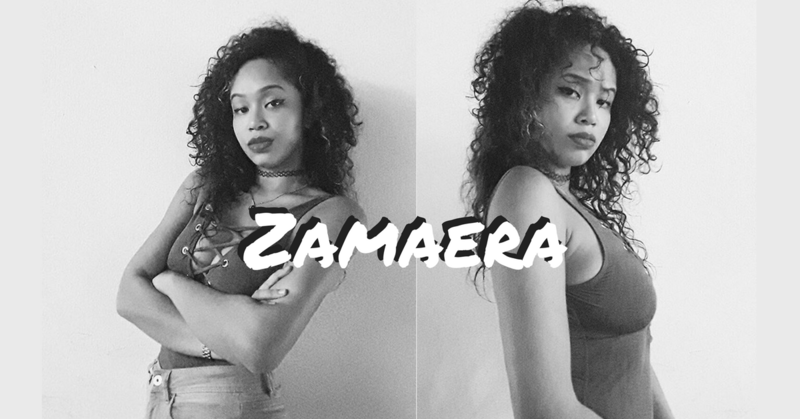 Hello Zamaera! Tell us more about yourself! What do you do full time? Tell us your journey as a rapper! When did you first discover your passion for rapping? I actually used to write short stories and poems since primary school and participated in regional championships for story telling. And then in high school, after listening to Tupac and being acquainted to English Literature, it kind of snowballed into what I know now as rapping. Do share more about your debut single, Helly Kelly! What was the inspiration behind this song? Helly Kelly is essentially someone without vision. Not blind but I played around with that fact because Helen Keller is the first deaf-blind person to receive a bachelors degree. And how the song came to be was that it was a perfect representation of me, 2 years ago. It’s not easy to acknowledge and accept your flaws let alone write a song about it but once you do, it can turn out into something amazing. How would you describe your rapping style? Grunge. Super mean but in a rebel-with-a-cause type of way. The message is the most important. Tell us a random fact about yourself/something people don’t know about you! Who are your favourite rappers in Malaysia? Okay super biased answer. SonaOne because I’ve known him since I was 16 and I always had so much fun with him be it making music or talking rubbish but that’s I think on a personal level. In terms of new come ups, I love Airliftz ! GWALOS GWALOS GWALOS!!! Any advice to budding rappers/musicians out there? Any upcoming projects for you? Yes! Can’t tell ya’ll what and when because it’s a surprise and no one likes a party pooper right? 2 hours of the gym, countless hours of shameful puns, a lot of reading, writing and listening to music and when he doesn’t have classes, I do all this with my best friend who happens to be my baby brother. There are no coincidences. Everything happens for a reason. Who is your all time inspiration in life? Drowning in creative energy. Regardless of where I am really it’s the people you’re around with that matters.